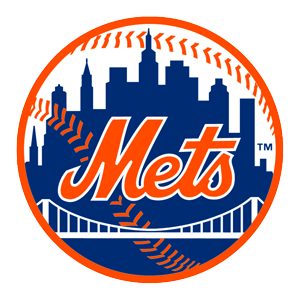 The MLB is back in action today as the New York Mets will clash with the Philadelphia Phillies at the Citizens Bank Park in Philadelphia, PA. The Mets won the first game with a score of 7-6 in 11 innings. Also, the Mets will start this game with Zack Wheeler and the Phillies will counter with Jake Arrieta. The Mets won the first game in this series. Moreover, it seems that the Mets are well equipped for this season. The Mets did get a leg up with their 7-6 win over the Phils in game one of this series. However, the game went to 11 innings in total. Also, the Mets were lucky as they scored the decisive run on an error by first baseman Rhys Hoskins. It will be interesting to see how they will play in this second game. On the offensive side of the game, the Mets score an average of 6.12 runs per game. Therefore, this record is enough for the 4th spot in the league in scoring. However, on the mound, they have been rather poor as they are placed on the 24th spot in the league in ERA at 5.40, while also being on the 26th place in WHIP at 1.53 and 1st in K’s with 170. The Phillies enjoyed a good start of the season. However, it seems that they have dropped their form recently as they struggled in some games. This Philadelphia team lost the first game of this series with a score of 7-6. Moreover, they have not lost 4 of their last 6 games. Anyway, it seems that their offence is performing well, but their pitching is not good enough at the moment. For example, Aaron Nola has been inconsistent so far this season and that took its toll on their overall pitching as well. On the offensive side of the game, the Mets score an average of 5.67 runs per game. Therefore, this record is enough for the 6th spot in the league in scoring. However, on the mound, they have been below average as they come in ranked 19th in the league in ERA at 4.72, while also ranking 18th in WHIP at 1.38 and 21st in Ks with 134. The Mets have been very good on the road so far this season. However, Zack Wheeler away record is not as good as his home record. On the other side, the Phillies will aim to bounce back at home and Jake Arrieta has been solid at home as he stands at s 21-8 with a 3.57 ERA in March/ April. Therefore, I expect the Phillies to win this game and to get back on track. 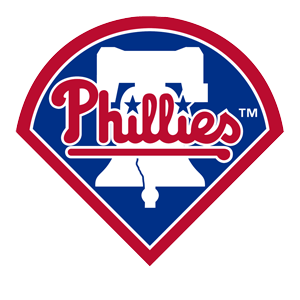 My Free Pick & Prediction for New York Mets vs. Philadelphia Phillies 04/15/2019 is: take the Philadelphia Phillies -112 (MoneyLine).